If you want to get more horsepower out of your Mustang Boss 302 there are plenty of options. Both ProCharger and JBA/Vortech have supercharger kits available, and Steeda and Hennessey are among several that offer performance packages for the car. Now Ford Racing Performance Parts is getting into the game as well, and have built a project car that shows some of the performance options available. First up is the Cobra Jet intake system. While the Boss 302 already had an intake system upgrade compared with the Mustang GT, the Cobra Jet intake takes it one step further. Built for the Cobra jet race cars, the upgraded intake utilizes larger runners and plenum for increased air flow at higher rpms. Along with a dual bore 65mm throttle body (part #M-9926-CJ65), a larger diameter intake tube and a custom calibration, the result is an additional 29 horsepower and 10 lb-ft torque. Next to be installed was a set of Ford Racing cams. Like with the intake the Boss 302 already has a set of high performance cams, but the Ford Racing version notches up the performance. The FRPP cams, part #M-6550-M50BINT (intake) and #M-6550-M50BEXH (exhaust) provide both increased lift and duration compared to the Boss 302 cams while maintaining the variable cam timing benefits. 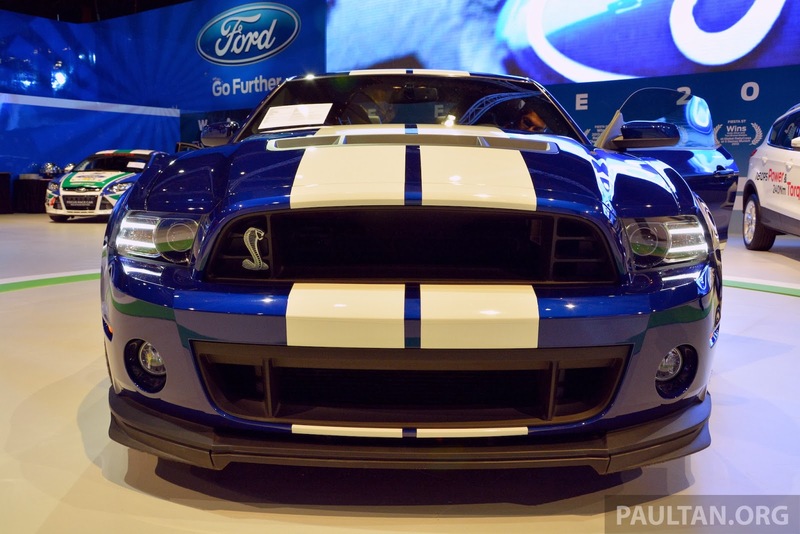 In total, the swap adds another 20 horsepower and 5 lb-ft torque. For the last step Ford Racing swapped out the stock exhaust manifold for a set of longtube headers. The switch netted another 19 horsepower and 8 lb-ft torque. If you’re keeping track and doing the math, the FRPP Boss 302 is packing an extra 68 horsepower and 23 lb-ft torque, totaling 512 horsepower and 403 lb-ft torque. 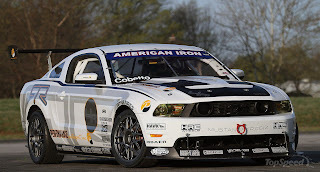 Ford Racing’s Andrew Casselberry informed us the car has retained its drivability as well. “The car is very civil driving around from stoplight to stoplight on a very busy Saturday evening on Woodward Avenue,” he told us in an email. Head on over to www.fordracingparts.com to see what other parts are available for the Boss 302. 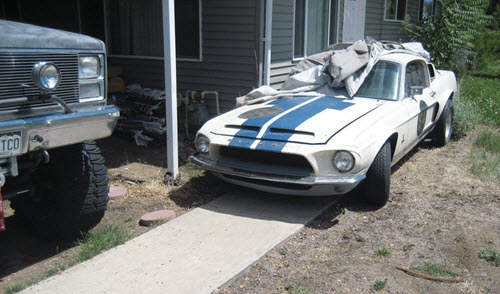 This entry was written by by Drew Phillips (Mustangs Daily) and posted here on Tuesday, June 3rd, 2014 at 9:14 am and is filed under boss 302, ford mustang boss 302, ford racing, ford racing boss 302, ford racing performance parts, frpp, News. This article was not written by us, rather gathered using RSS feeds listed here. We take no credit for this article. You can leave a response, or trackback from your own site.